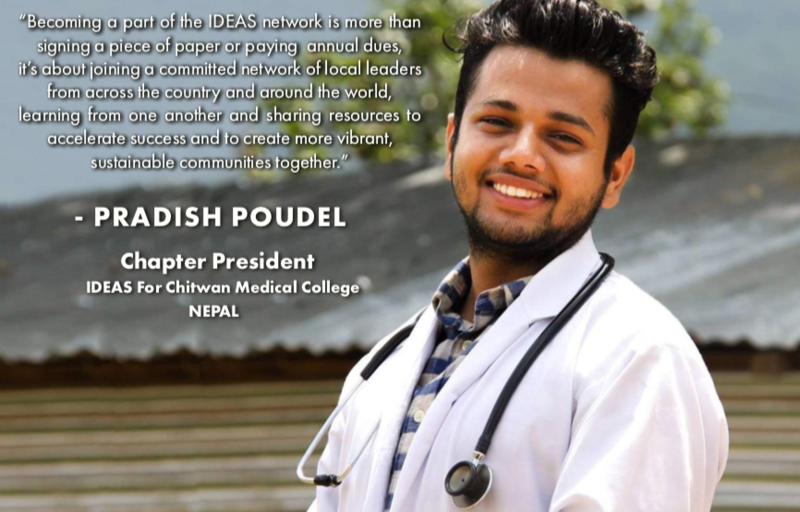 By becoming an individual Member of IDEAS For Us you'll be joining a global network of innovators, young entrepreneurs, elected officials, advisors, philanthropists, and everyday citizens who are not just demanding action -- but taking the initiative to create and advance a sustainable future. Since 2008, the support of our members has helped our staff and volunteers launch action projects that include replanting forests that protect villages from mudslides, electrifying hospitals in rural communities with solar panels, and removing tons of garbage from the environment. Collectively, we have taken action in 30 countries, engaging thousands of volunteers on global issues by taking local action. Your membership also helps keep the bulk of our educational programs FREE for students and families in the United States and in the developing world. A copy of the official registration and financial information may be obtained from the Division of Consumer Services by calling 1-800-342-2176, within the state. Registration does not imply endorsement, approval, or recommendation by the state. I donate to bring Ideas for us to Mauritius as a platform to put forth all initiatives of IDEAS for us to Mauritius to form of an NGO for good causes. I love the great work the IDEAS for Us Team is doing to create the world I want to live in. I choose to give to be the positive change I want to see in my community. I'm happy to be a part of IDEAS for Us and helping advance its sustainability goals! I am proud to support IDEAS for Us efforts to bring real solutions to global issues through local projects. IDEAS. Not for me; Not for you. IDEAS For Us!